As you can see, my cup holder doesnt slide in and click like its suppose to, anyone know how to fix? The catch on it is busted, It was most likely pulled straight out once which broke the little plastic piece that holds it in. The cupholder works a lot like the clicky pens...pretty much the same type of mechanism. you will need to get a new cupholder which is separate from the ashtray assy etc. Should be able to find one for under $25 from someone parting out a g3. Check out the guy parting out the 94 RS in WV...mugenteggy1 I thinks his user. I fixed the same issue on my '94 without having to replace the assembly. 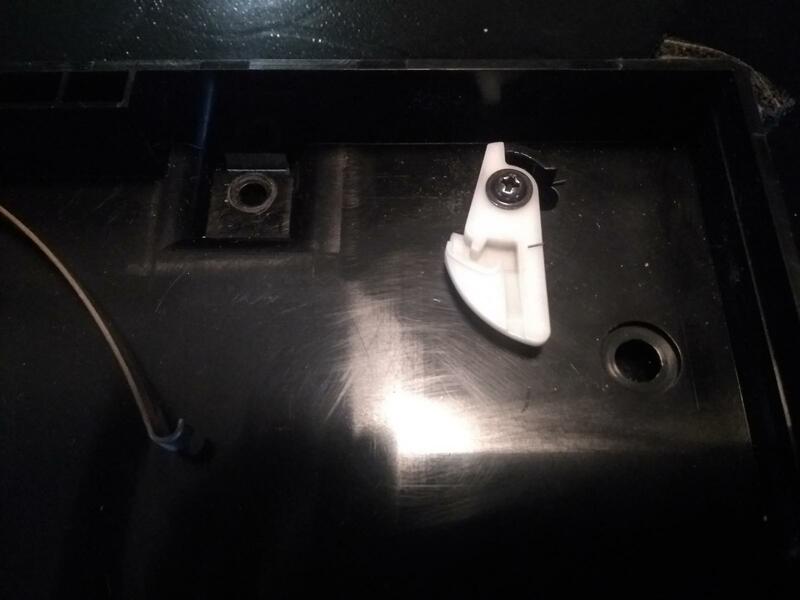 I removed the cup holder tray portion from the housing which allowed me to access the steel pin that engages the white plastic spring loaded latch. The pin was no longer completely pressed into the tray which prevented it from engaging the slot in the latch. On mine, I just pressed the pin all the way home and snapped the tray back into the holder. 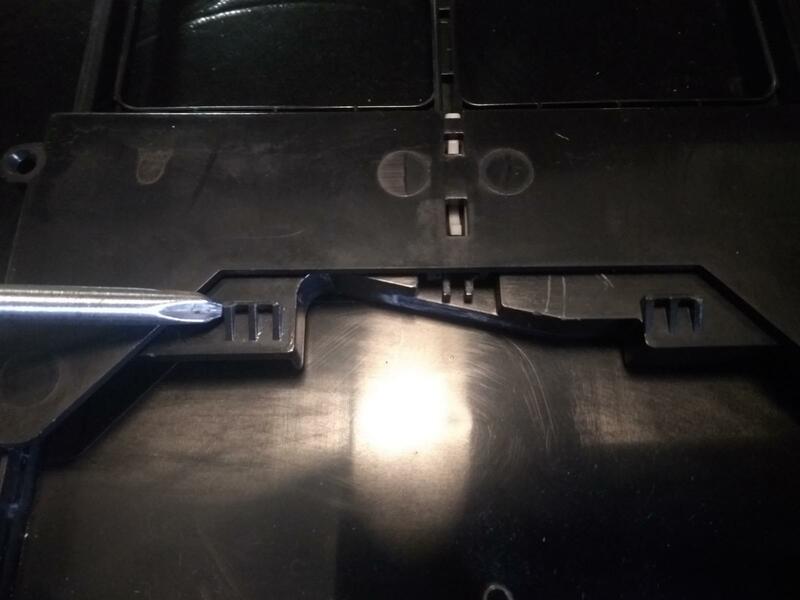 To remove the tray to do the repair, you can release the two stops that normally hold it in by accessing them from behind the dash from the passenger side. They are a little tricky to get to but disassembly of the center console is not required as it would be to remove the whole cup holder assembly. Just take a long flat blade screw driver and insert it adjacent to the stop between the tray and housing. Then gently twist it to pry up on the tray housing so that it clears the stop tab while pulling out that side of the tray from the front. Work each side separately and the tray will release so that you can completely pull it out of the housing. Once it's out, just press the pin all the way in to seat it and snap the tray back in place. The stops are angled at the back so they just snap back in. 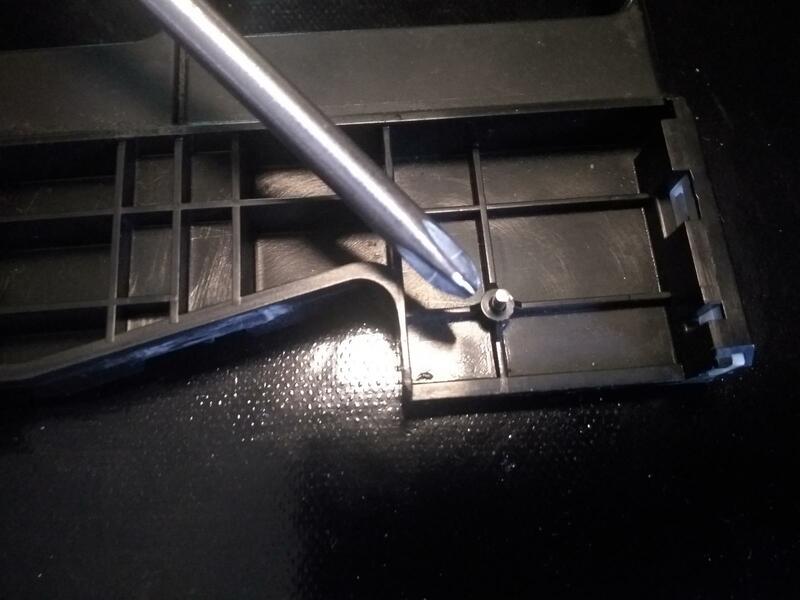 Even if you disassemble the center console to remove the cup holder assembly, you will still have to pry the unit apart so you really don't gain anything. 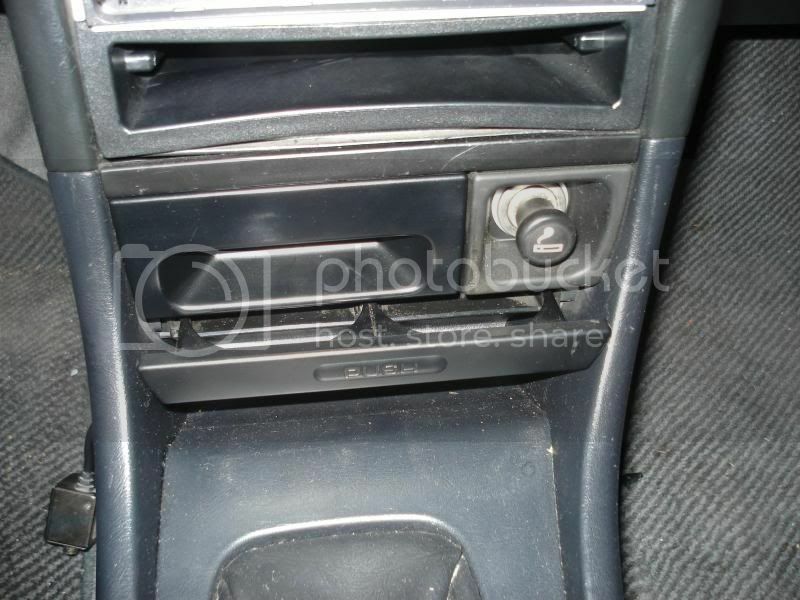 And contrary to a YouTube video that indicates there are only two screws at the front holding the assembly in, there is a third screw at the rear that can only be accessed by removing the two piece center console unit and then the ash tray/lighter assembly to access the front two screws. Last edited by '94redLS; 02-11-2019 at 04:29 PM.